Updated Wednesday October 19, 2016 by Babe Ruth Import. 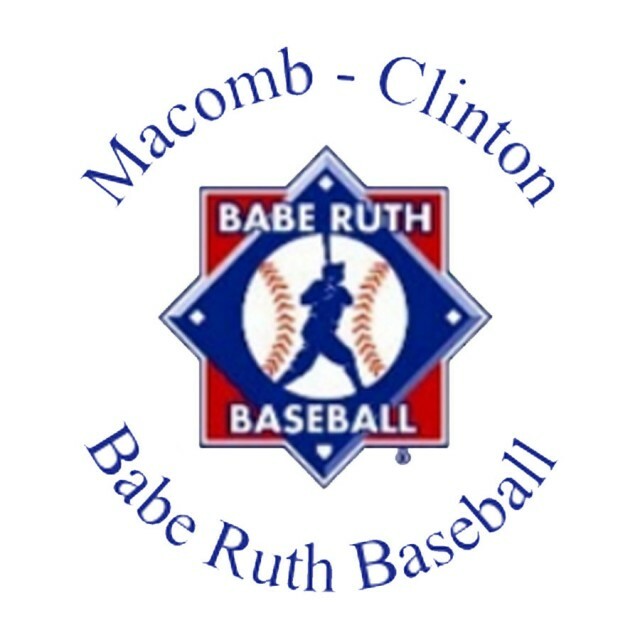 Macomb-Clinton Babe Ruth Baseball is a hardball program designed for children grades pre-K (age 4) through grade 12 and is the only Chartered Non-Profit baseball organization supporting the love of baseball in the greater Macomb community for 60+ years. In addition, the league strives to put together teams to play in the Babe Ruth State Tournament and Regional Tournament. In 2017 season, the league is offering spots on "Elite" teams for 9u, 10u, 11u, 12u and 13u for additional inter league, tournament play. Tryouts will be held in the fall and winter. We also plan to creata a second season. Let your commissioner know if you are interested in participating or even coaching a team. The concept of second season is learning and preparing for the coming season next summer. More information to come!